With all the experimentation that is going on in Nigeria’s musical underground, it is easy to forget that traditional Nigerian sounds are pretty damn cool. Three years ago when Mojeed debuted with Westernized West African, a tape that was every bit as foreign as it was local, he was at the very heart of that experimental wave. He came off jovial yet purposeful; as if he were trying to elbow his way onto radio playlists through sheer force of will and good humor. But as an artist he has grown, and part of that growth is a return to the things that make his music distinctly Nigerian in the first place. In Search Of Higher Frequencies finds the rapper in a more expansive mode, plumbing the depths of his own personal story over the 6 track EP. The concise track list forces Mojeed to dig deep and narrow down on his subject matters such that each track is devoted to breaking down one complex idea that has plagued his psyche as a creative. But that is where his charm lies so you won’t hear anyone (including this writer) complaining about it. Mojeed sticks to his formula for success and sneaks in a skit on the first track on In Search Of Higher Frequencies, “In Search (Introduction)” where he is most reflective over a haunting mid-tempo beat produced by Jmoh. Cuts from his old tape feature on the intro through “Super Human” playing as Mojeed delivers a brief word of encouragement followed by a melodious hook that shows promises of a genre switch to Soul and R&B in the future. Mojeed improves on the feel of Westernized West African on “Eko Atlantic” with productions from Balli and Billionea who serve up an ominous synth based instrumental that Mojeed raps on, assisted by additional vocals from Omosco. 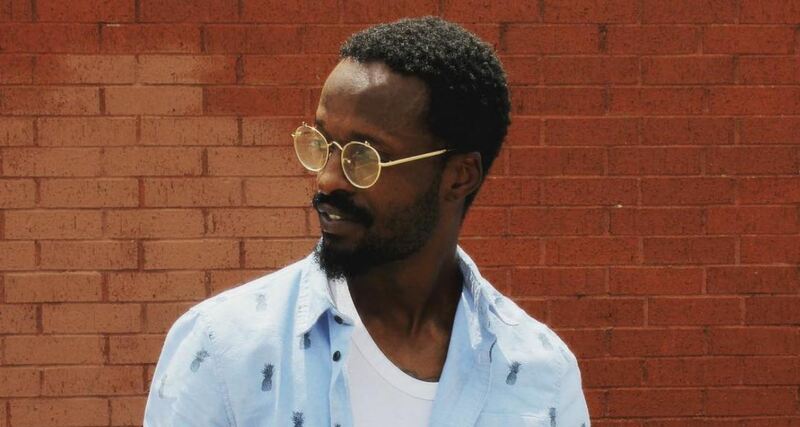 Their combination emphasizes what sets Mojeed apart, presenting itself as local through his Yoruba bars and pro-Lagos theme, and foreign through the somber harmonies and his American accent when he chooses to switch to English. Mojeed features SDC’s Tec and Tesh Carter In Search Of Higher Frequencies. Tec’s presence is felt on “The Charm” as the two rappers exchange bars without attempting to outshine each other despite the track’s showy narrative. Tesh Carter also provides the chilled out counterbalance to Mojeed’s energetic flow on “Love Spell”. In Search Of Higher Frequencies’ wildly experimental beats are anchored by the Drill Meister’s profficency, mixing and mastering the project. His work is especially felt on “Ko Shi Lo”, a track that highlights the laid back and trippy vibe of the album through the trip-hop instrumentals that inspires feel-good lyrics and rhymes from Mojeed. “Eleniyan” has a similar narrative, except it is produced by Spax who leans on Afrobeat influences for Mojeed’s outro track where he shows his gratitude for what he has made of himself in spite of himself. At its best, the tape exudes a familiarity that makes it instantly approachable even to none hip-hop lovers. At its worst, the brief 19 minutes listening time leaves fans feeling cheated after waiting 3 years for another Mojeed release. Listen to In Search Of Higher Frequencies below.